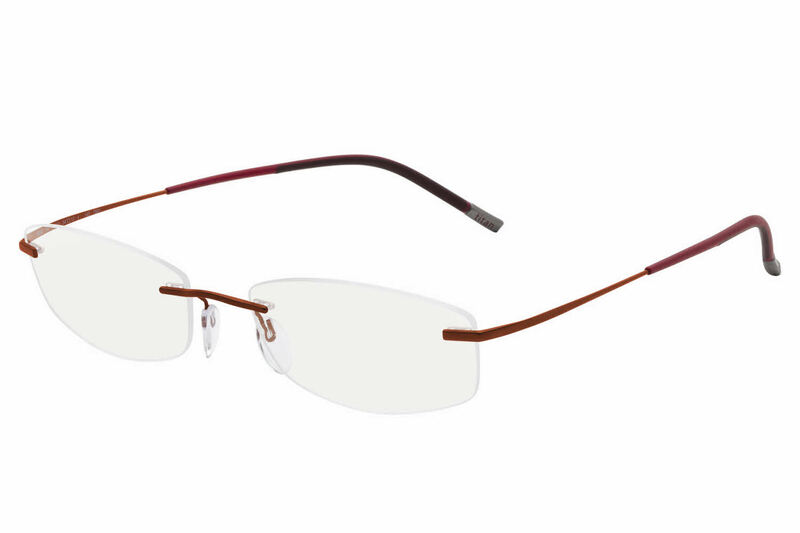 Silhouette Rimless 7581 TMA Icon eyeglasses exhibit the height of innovation in frame construction; so lightweight and comfortable, it’s almost like not wearing glasses. Silhouette Rimless Eyewear is rimless, screwless, hingeless, almost weightless, but surprisingly durable. Silhouette Rimless is the last word in minimalist eyewear. Rimless frame with hypoallergenic and corrosion resistant Titanium temples and bridge. Come in a Silhouette Rimless protective carrying case with a cleaning cloth. I put these on out of the box, and instant perfect sight. Saying that, this is the 4th set of glasses from Frames Direct, all are perfect lenses. Only one I have an issue with sliding down my nose. I found some silicon ear clip type things which fixed that. So all 4 sets work like magic.My optometrist recommended I don't get lenses this narrow from top to bottom because I need bifocal lenses. Well, they work fine for me. Perhaps for others this may not work. Perfect for me, so thanks Frames Direct for another perfect job. Light weight, good looking and well made in Austria. Fine product. Customer service is excellent. This frame is fantastic. It's light, many color options, and lense options. It is so great I immediately order another one with different color. Really glad I found Frames Direct! Great prices and service, I will be back again real soon, you have a new lifetime customer. I love these glasses. They are well made and beautifully designed. I love the matte blue color. The only criticism I have is that the lenses are smaller than I thought they would be. I would have liked the lenses a bit bigger, but I am very happy with the fit, so I am getting used to them.